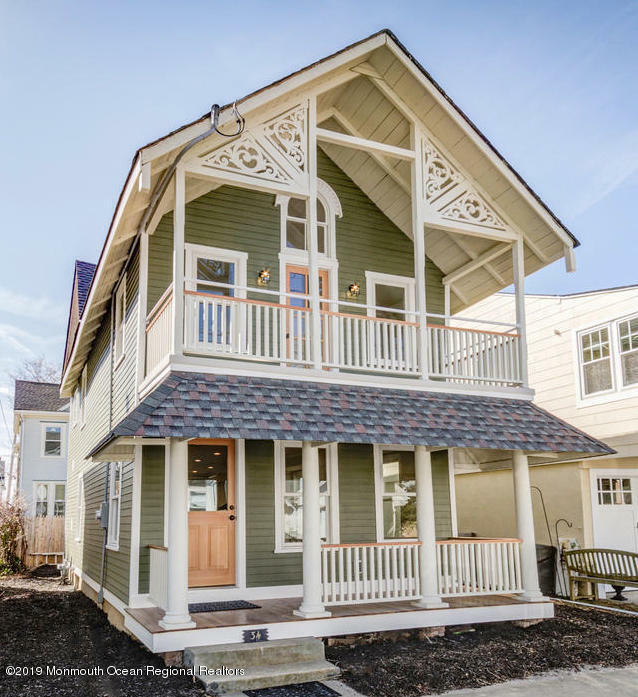 Beautifully renovated/restored turn of the century Victorian. Stunning original details blend with all of the amenities of new construction. This 3 bedroom, 2 bath home offers new roof, wiring, plumbing, heating, central AC, water heater, insulation, drywall, lighting, wood floors, baths, kitchen w/ granite and SS appliances, custom decorative molding, porches & railings. Located 1.5 blocks to Ocean Grove's award winning beach, downtown shops & restaurants. Convenient to Asbury Park and NYC bus/train.